ConoServer was created end 2007 in the laboratory of David Craik . The database gives access to protein sequences, nucleic acid sequences and structural information on conopeptides. ConoServer's data are first collected from the peer reviewed literature and from publicly available databases, including UniProtKB/Swiss-Prot, NCBI nucleotide (nt), and the World Wide Protein Data Bank. The data are then curated manually, which include the addition of references, the analysis of sequence regions, the identification of cysteine frameworks and gene superfamilies, and the identification of mature peptides in the precusor sequences. The database is updated several times a year, at irregular intervals. The help page for the database and tools can be found here. If you use the database in your publications and found it has been useful to your research, please cite the corresponding peer reviewed article. Citing the ConoServer reference will help us to get credits for it and continue its development. Thank you. 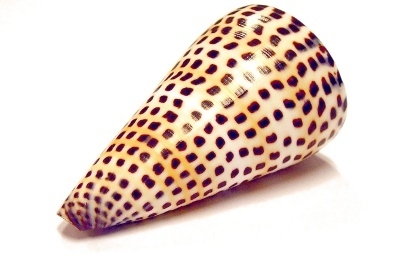 Multi-criteria search: conopeptide classification schemes, organism names, organism clades, cone snail diet, organism geographic location, and sequence. Protein, nucleic acid and structure cards. Classification schemes: conopeptides are classified using several classification schemes, which are constantly evolving, and ConoServer allows to keep track of their recent evolutions. Statistics: some automatocally updated statistics are provided for sequence and structures of conopeptides . Analysis of conopeptide precursor sequences: prediction of ORF, identification of sequence regions in the precursor, determination of close homologues and classification scheme analysis. Analysis of mass spectrometry data: mass with differential post-translational modifications, search of mass lists with predicted masses from database or from a list provided by user. Quentin Kaas: design of database, design of website, curator. Jan-Christoph Westermann: original idea, (retired) curator. David Craik: head of laboratory.